What Happens If You Fail a DOT Drug Test? In the USA, you need to pass the DOT drug test to be able to work as an employee in transportation industries, including shipping, trucking, rail, aviation, merchant marines, and transit. The U.S. Department of Transportation (DOT) has specified the testing requirements, and failing to meet those requirements would keep you from working in transportation industry. 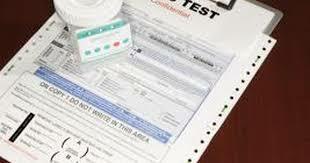 Both individuals and companies must get tested before hire and participate in a drug-testing consortium. It is equally important for companies to ensure the availability of annual supervisor training to stay in compliance. So what happens if you fail a DOT drug test? It is important to mention that DOT conducts scheduled and random audits to ensure that companies follow the testing guidelines and maintain complete records. Here is some more information about the test. What Substances Are Tested in the Test? The rules also specify confirmatory testing for non-negative screens, which not only includes the above drugs but also ecstasy, methamphetamines, and molly. While the opiate class is included, the prescription opiates, like oxycodone and hydrocodone are exempted. What Are the Cut Off Levels of DOT Drug Test? What happens if you fail a DOT drug test? First, you should know the cut off levels of this test. The very first test is a five panel EMIT. In case of marijuana, the cut off on the screen is 50 ng/ml. A sample below this level is given a passing status. If your sample is over this level, it will be forwarded to GC/MS for confirmation, where the cut off level is at 15 ng/ml. You will pass the test if the metabolite is below this level. If your test comes positive, you may be removed immediately from the company or at least you will be stopped from performing safety sensitive functions. Your company may have different policy about the consequences of failing to pass a DOT drug test. You will be provided with the information of a substance abuse professional (SAP) who will work with you to evaluate and resolve any problem directly associated with the misuse of drugs. You can also look for a SAP in your local phone book. You can search online to get more details. Your company will collect your ID cards and send it to AADT (Annual Average Daily Traffic). If your employer does not want to terminate you, it will send you to an Employee Assistance Program. Your employer will also discuss things with you, including payment arrangements. You will have to complete a rehabilitation program that will be prescribed by a qualified SAP. The SAP will also confirm if the prescribed program was followed in the right way or not. If you have been tested positive and have completed the rehabilitation program, you will still have to pass a return-to-duty test. What happens if you fail a DOT drug test and then pass the return-to-duty test? You can return to safety sensitive functions once you pass this test. The SAP working with you will be authorized to ask for an unannounced follow-up drug test. Your employer will have to administer the test. It is up to the SAP to determine the number and frequency of follow-up testing, but it usually includes at least 6 tests within the first 12 months of passing a return-to-duty test. Your employer may ask a provider to monitor your follow-up program. What Are the Street Names for Tobacco?